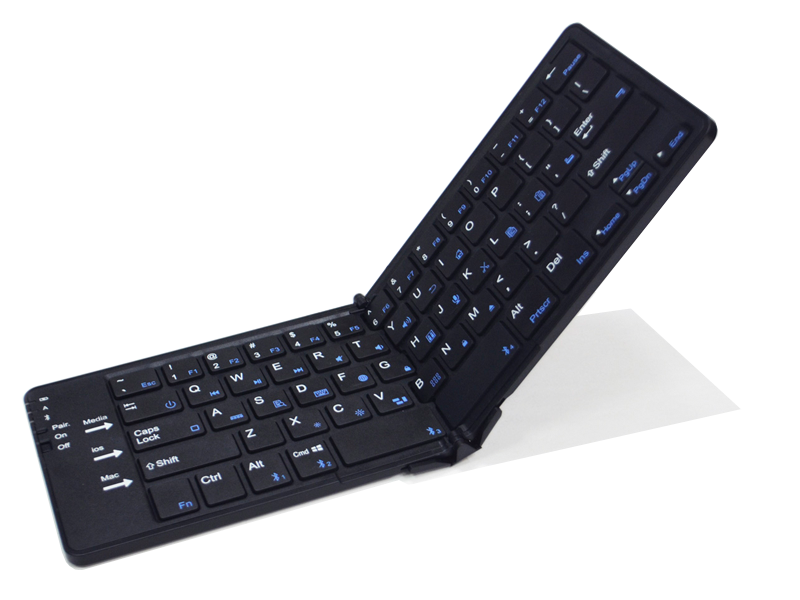 Dual-mode wireless Bluetooth/ USB Foldable keyboard is specially designed for portable MIDs such as smartphone and tablet PCs. 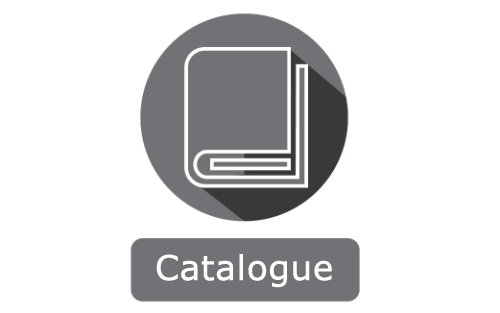 Its standard key size, key pitch, low profile design helps reduce the tiredness. 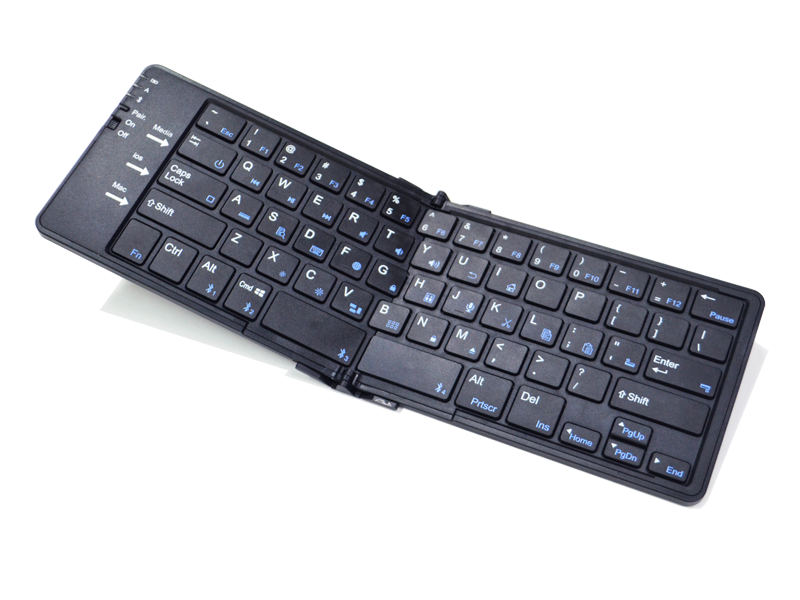 It can also be used as an USB Keyboard if environment is not allowed to use wireless or keyboard at low power status. 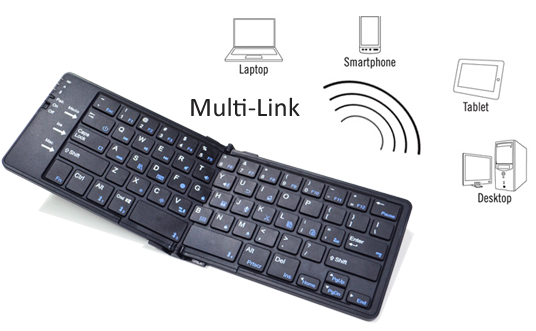 Thanks to its multi-link switchable support, it can use tablet PC, smart phone or other smart devices in between. 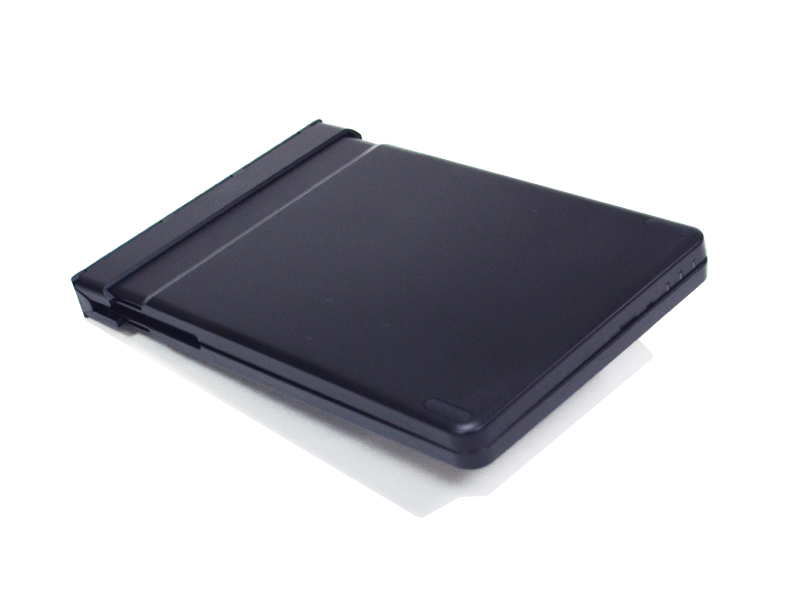 The big capacity of embedded 200mAh Lithium-ion rechargeable battery supports longer working hours. 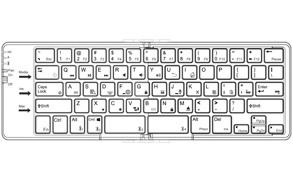 Tx Technology/ USB Buetooth wireless technology, V. 3.0; USB 1.1 ver.